The Motiv Pro canoe trailer series meets the needs for a professional canoe / kayak trailer for the secure and convenient storage and transport of boats & valuable equipment. With our unique design the enclosed storage box comes equipped with lockable heavy duty lids which can be stood upon. It also allows maximum storage capacity and ease of loading / unloading. 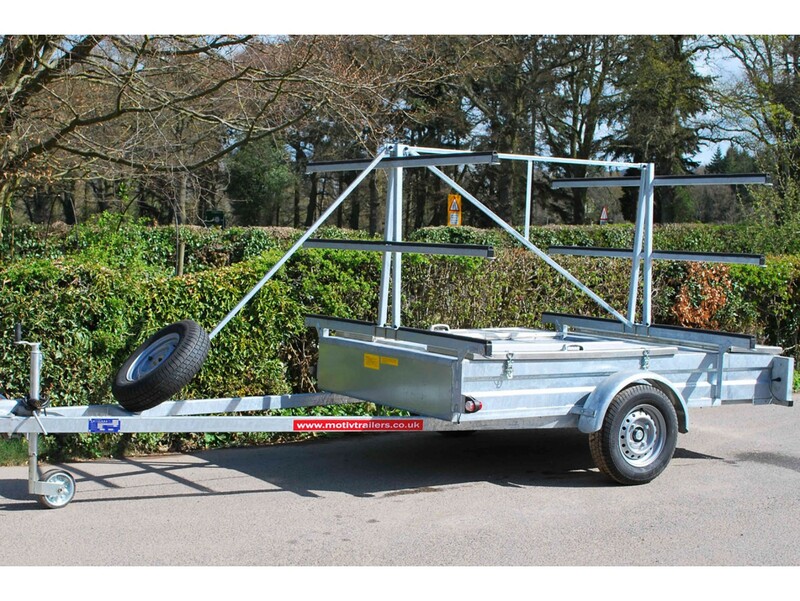 The Pro canoe trailer maintains robustness and strength throughout its design and will ensure many years of use. Racks are height adjustable to suit boats & equipment.